Over the course of four years, MAHS researchers investigated the wreck of U.S. Navy PBM-3 (BuNo 6672) located in the Choptank River, on the Eastern Shore of Maryland. The work was conducted on behalf of the Underwater Archeology Branch of the Naval Historical Center and the Maryland Historical Trust (MHT). 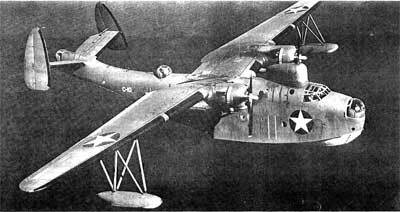 The Martin Patrol Bomber ("PBM" or "Mariner") was a twin-engine seaplane that was developed and built in the 1930s and 40s for the U.S. Navy by the Glenn L. Martin Aircraft Company of Baltimore, Maryland. Almost as big as a Boeing 737, the plane's fuselage was 80 feet long. It had a wingspan of 118 feet and a maximum gross weight of 58,000 pounds.